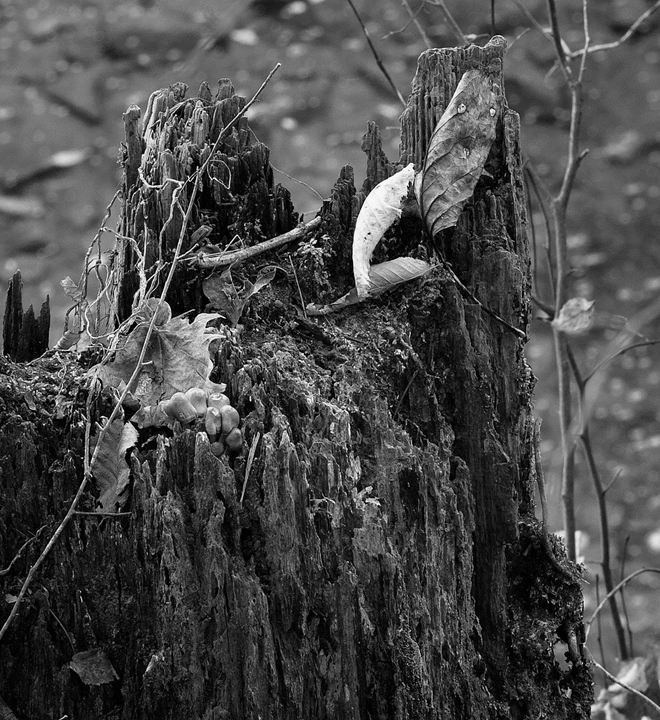 I especially like the look of age in this stump, holding up newer, more transient things. Good thought Ellie. Thank you.